LAS VEGAS (Aug. 1, 2016) – Serendipity 3 at Caesars Palace, the Las Vegas outpost of the whimsical New York eatery, brings the heat with its fourth eating challenge, available for a limited time. Available now through the end of August, The Demonio de Vaquero Chilaquiles Spicy Challenge offers a traditional Mexican dish with a fiery twist. 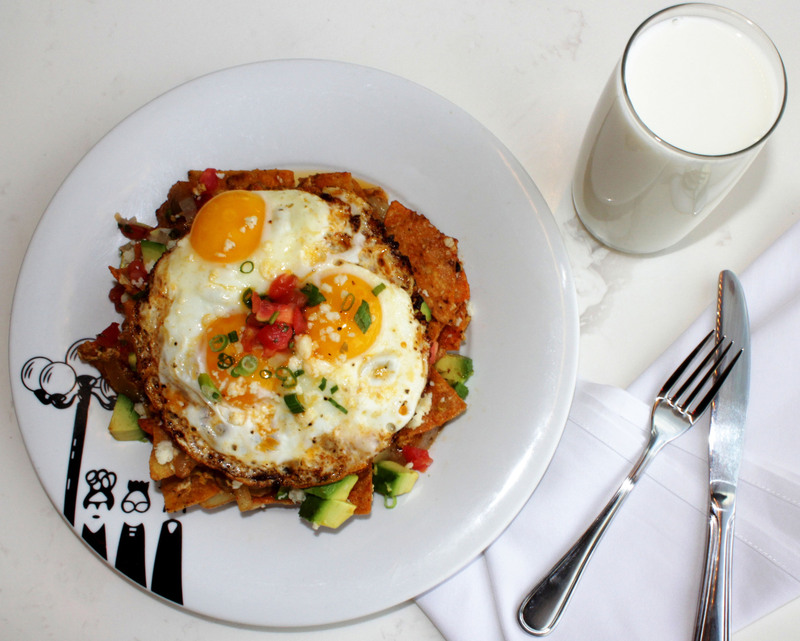 The chilaquiles features ancho chile-dusted corn tortilla chips topped with roasted red onions, avocado tomatillo salsa, three eggs, cotija cheese, pico de gallo, diced avocado, roasted fresh jalapeno, and finally, house-made Screamin’ Demon Chile Oil. This Screamin’ Demon Chile Oil is extracted from dried Bhut Jolokia (ghost) peppers measuring at 1,041,000 Scoville units, Trinidad Scorpion peppers measuring at 1,464,000 Scoville units and pure capsicum crystals measuring at a whopping 16 million Scoville units for an extra spicy kick. Guests who successfully finish the entire dish within 10 minutes and endure 10 additional minutes without consuming anything else, while staring down a glass of milk, will receive it for free. The dish will be offered as a standalone item for $21 for those who do not wish to participate in the challenge. Those who opt to partake in the challenge and fail to finish within the 10 minute time frame will be charged full price for the dish. Serendipity 3 is open Sunday – Thursday from 9 a.m. to 11 p.m. and 9 a.m. to 12 a.m. on Friday and Saturday. For reservations, please call 877-346-4642 or visit www.caesars.com/caesars-palace.